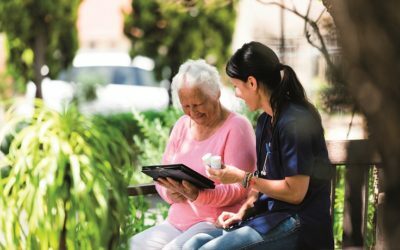 Congenica’s genome analysis software, Sapientia™, is having a very real impact on the lives of patients and their families. Here’s the Tolman’s story. 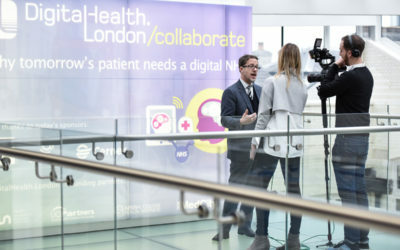 Part of DigitalHealth.London’s Tomorrow’s Patient campaign. Margaret Tolman always knew her son, Ian (now 38), wasn’t simply ‘clumsy’, but, it took the Tolmans over 15 years of tests, questioning and misdiagnosis before a new type of genetic testing provided a conclusive diagnosis of Bardet-Biedl syndrome for their son. This ‘patient odyssey’ is heartbreakingly common. Many common symptoms can hide those of underlying rare diseases. Additionally, there are over 7,000 known rare diseases, and symptoms for the same disease can vary from individual to individual, making diagnosis challenging for clinicians. Ian’s parents knew early on something was wrong with their youngest child. He kept bumping into objects and couldn’t see well in the dark. He also had six fingers on each hand and six toes on each foot. The breakthrough came when, during a routine eye check, the local optometrist noticed that Ian had unusual clumps on his retina and referred him to hospital for investigation. Following tests, Ian was diagnosed with an inherited eye disorder called retinitis pigmentosa (RP). Margaret was sure this wasn’t the complete story, and continued to search for an answer. Eventually, Ian was referred to Professor Philip Beales at Guy’s Hospital Genetics Clinic, London. Although 80 per cent of rare diseases are genetic in origin, until recently it was very expensive to sequence someone’s genome. As a result, genetic testing has been limited to looking at specific genes that are known to be associated with disease; such as the cystic fibrosis test. There are only a few of these tests available and they are generally performed to confirm a diagnosis based on other tests and a patient’s symptoms. The big revolution in genetic testing has been the rapid fall in the cost of sequencing and the introduction of new tools. One such tool is Sapientia™, software developed by Congenica that can identify which gene variants are associated with disease throughout a patient’s entire genome. 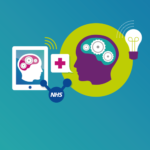 Selected to be part of the NHS Innovation Accelerator in 2015, a number of NHS Trusts in the UK are in the process of validating the use of Sapientia™, including Birmingham, Dundee, Wessex, Liverpool and others. Manchester have already validated and are now routinely using Sapientia. This helps to manage the huge increase in demand for genomic analysis. Sapientia provides all the tools and information in one place that a clinical geneticist requires to decide on a diagnosis. Once variants have been analysed, a report can be issued for each patient either directly in Sapientia, or the data can be exported to the hospitals reporting system. The data generated for each variant is also stored anonymously and shared with all users of Sapientia, to help others to diagnose their patients faster too. The 100,000 Genome Project is supporting the adoption of whole genome analysis by NHS genetic centres and is using Sapientia from Congenica as a genome analysis platform. This means that it is now possible for NHS clinicians to look for mutations in whole genomes or exomes (the part of the genome known to code for proteins). Professor Beales took blood samples from Ian and applied whole genome analysis. This revealed that Ian had a mutation in the BBS1 gene, which is associated with Bardet-Beidl syndrome (BBS). Individuals with BBS typically suffer from deteriorating eyesight, extra fingers and/or toes and developmental impairment. There is a genetic test for BBS but Ian was never considered for this, as a common feature of the disease is obesity, which Ian does not have. With Sapientia, clinicians can record and retrieve all of a patient’s symptoms (or ‘phenotype’), alongside their genetic information, then they can link this with published literature to help confirm a diagnosis, all within the same web browser. Although a diagnosis may not mean that there is a treatment available, just having this information is invaluable to patients and their families. It also means that other members of the family can be made aware and get tested to determine if they carry the same recessive gene mutation. Margaret continues: “We are very proud of Ian as he manages very well and is such a cheerful, strong character. He’s able to get around independently with a stick and can attend his college classes and make his own notes thanks to having some special speech equipment. 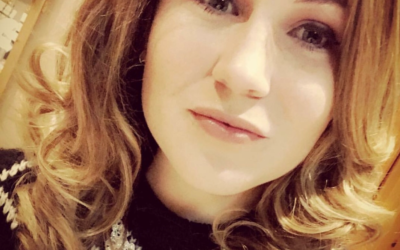 We met up with Accessibility Consultant and Inclusive Technology Evangelist, Molly Watt, to ask: why does tomorrow's patient need a digital NHS?